Is HMB Really an Effective Bodybuilding Supplement? 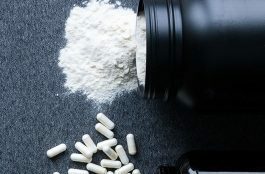 We’ve discussed supplementing with BCAAs (branched chain amino acids) before, and how they offer unique anti-catabolic, protein synthesis enhancing and glucose-sparing effects that make them a truly effective supplement for anyone engaged in weight training. 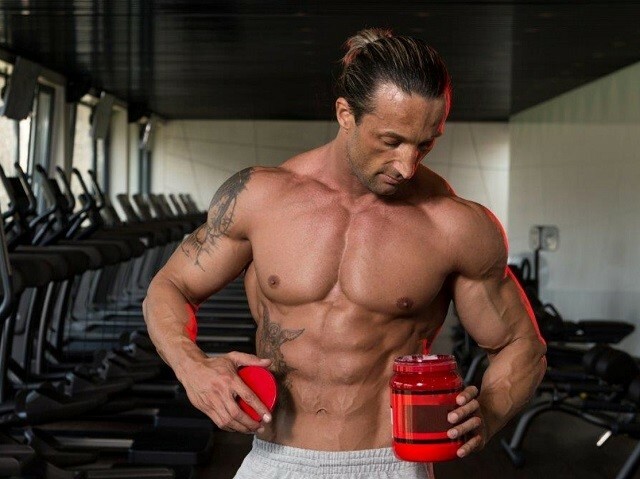 BCAAs comprise of three amino acids – Leucine, Isoleucine and Valine. Out of these three amino acids Leucine is the only one that has the capacity to significantly stimulate muscle protein synthesis. Muscle protein synthesis (MPS) is the process by which new muscle proteins are formed. When MPS takes place on a large scale the result is muscle hypertrophy (muscle growth). Anything that increases MPS is a good thing! HMB (Hydroxy Methyl Butyrate) is an active metabolite of leucine. 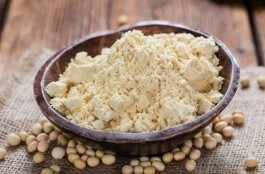 It has been found that around 5% of dietary leucine converts into HMB through the process of oxidization, so any time you drink a whey protein shake, eat chicken breast or consume any other type of leucine rich food you are also taking in some HMB. Given that BCAA supplements and some foods already contain leucine, is it effective to also supplement with HMB? In studies, HMB has repeatedly failed to show any solid evidence that it increases lean muscle mass, increases strength output or reduces post workout muscle soreness , , . It’s not all bad news for HMB. There is research that supports and confirms supplementing with HMB as an effective anti-catabolic , . HMB seems to be the active metabolite that gives leucine it’s anti-catabolic (stops muscle loss) properties, but HMB itself does not substantially increase protein synthesis. In other words, HMB will not help you build muscle, but it will help you maintain muscle by reducing muscle protein breakdown. HMB appears to stimulate mitogenesis, causing a division of cells, which suggests that the supplement can make dormant muscle cells differentiate (become more specialized cells). HMB may stimulate muscle protein synthesis through the mTOR pathway (which leucine also uses), but in a manner separate from leucine itself. One study found that 3 grams of the faster-absorbing free salt form of HMB significantly reduced levels of creatine kinase induced by exercise in trained males. Creatine kinase is a substance which, when present in very high levels, is often indicative of muscle tissue damage or stress. HMB and leucine (of which HMB is an active metabolite) have been compared in a study to determine their respective effects on muscle protein synthesis. The result? Leucine caused a 40% greater increase in synthesis than HMB . The latter, as mentioned previously, is anti-catabolic, and in cases where muscle wasting is a serious risk – for AIDS patients or those confined to bed, for example – supplementing with HMB seems to outperform leucine at preserving muscle mass. A study of non-athletically trained individuals found that though creatine was three times as effective as HMB at increasing muscle mass, combining the two supplements had an additive effect. However, when a similar dose of HMB and a lower dose of creatine were given to trained rugby players, no such effect was observed. So – is HMB effective, or should you just take branched chain amino acids? As the points above illustrate, HMB does appear to have beneficial effects similar to leucine. If you’re on a high calorie diet and you’re trying to gain muscle weight then HMB is not going to help you. In this case you’re taking in plenty of nutrient rich calories so there is little possibility of muscle loss. Supplementing with HMB would be a complete waste of time and money. On the other hand, if you’re on a low calorie diet that’s putting you in a calorie deficit, and your aim is to burn body fat then supplementing with HMB could be beneficial in helping to minimize any muscle loss. Take Leucine if your goal is to build muscle. Leucines’ proven ability and superiority at stimulating muscle protein synthesis makes it an ideal supplement for increasing lean muscle mass. Take HMB if your goal is to drop body fat while maintaining muscle mass. HMBs’ proven ability and superiority at reducing muscle wasting makes it an ideal supplement for maintaining lean muscle mass while trying to burn body fat. Remember, only around 5% of leucine converts to HMB so leucine alone doesn’t produce a substantial amount of HMB to reduce muscle loss. A dose of 3g daily is recommended and should be spaced out evenly. Take three servings of 1g morning, afternoon and at night. Taking 6g does not appear to be any more effective than 3g . 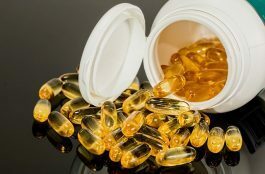 HMB has an excellent safety profile, and as individual response to supplements varies, there would be little harm in at least trying HMB as part of a cutting phase. 1: Int J Sport Nutr Exerc Metab. 2001 Sep;11: Beta-hydroxy-beta-methylbutyrate (HMB) supplementation does not affect changes in strength or body composition during resistance training in trained men. 2: J Strength Cond Res. 2009 May;23(3):827-35. Effects of nine weeks of beta-hydroxy-beta- methylbutyrate supplementation on strength and body composition in resistance trained men. 3: J Strength Cond Res. 2010 Feb;24(2): Exercise-induced muscle damage is not attenuated by beta-hydroxy-beta-methylbutyrate and alpha-ketoisocaproic acid supplementation. Which Bodybuilding Supplement Should You Take?